CloudLadder takes care of the grubby details for most clients. Others tackle building their website themselves. This page provides links to resources for those who have the skills, time, and determination to slug through acquiring domain names, purchasing hosting, preparing the site code and more. There are many providers in this field and there is much competition. The prices for services change rapidly as the technology evolves. 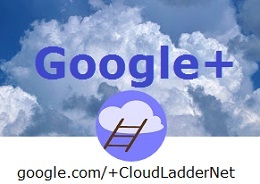 CloudLadder is affiliated with the hosting companies whose ads are shown in this section. Please patronize these companies. For many years the very best editing tool was Microsoft Windows Live Writer. Sadly Microsoft has discontinued this tool, but the code was opened to the Open Source community. Open Live Writer was released in 2017, however it has not seen any recent updates. A complete website can be built with a HTML editor. Years ago Microsoft offered a fine graphical tool, Expression Web. This has been discontinued for many years, but the editor continues to be available from Microsoft. To build your own website using an easy graphical interface or HTML you can get Microsoft Expression Web 4 – it is free!